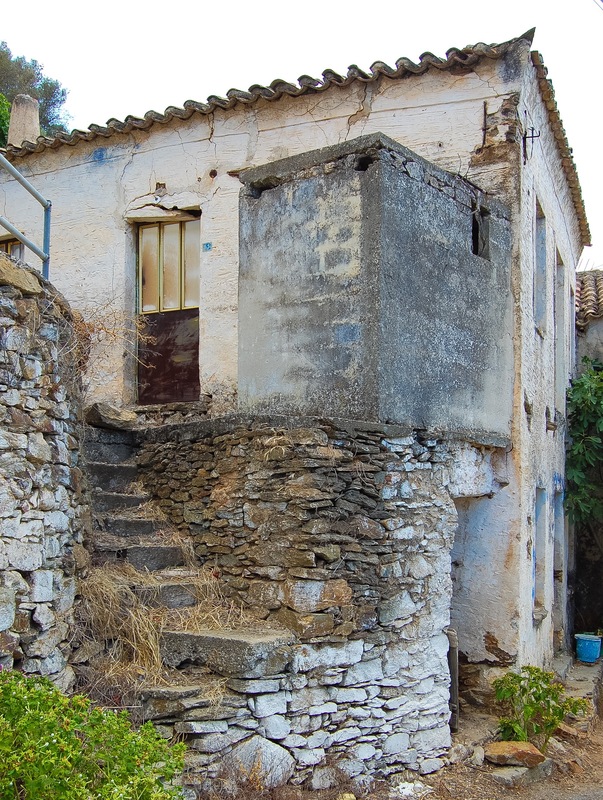 Perched on mountainsides in Laconia, Peloponnese are small villages rarely seen by tourists. 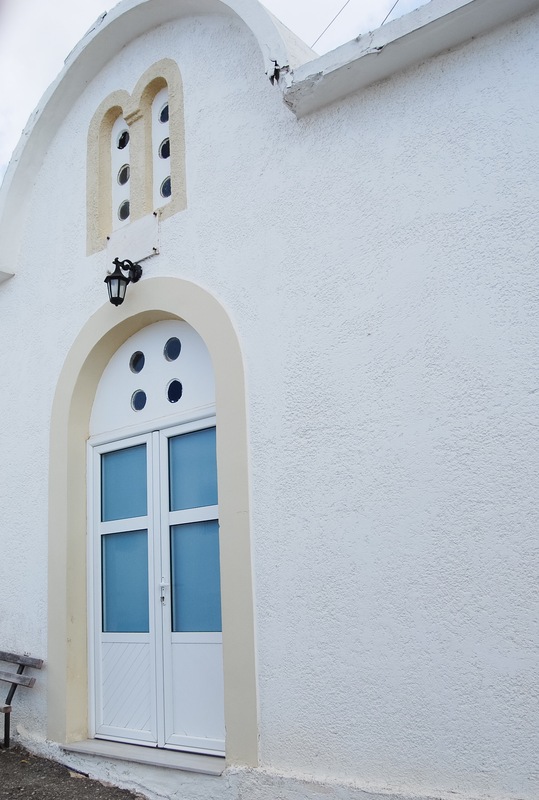 One such place is the tiny village of Kriovrissi. 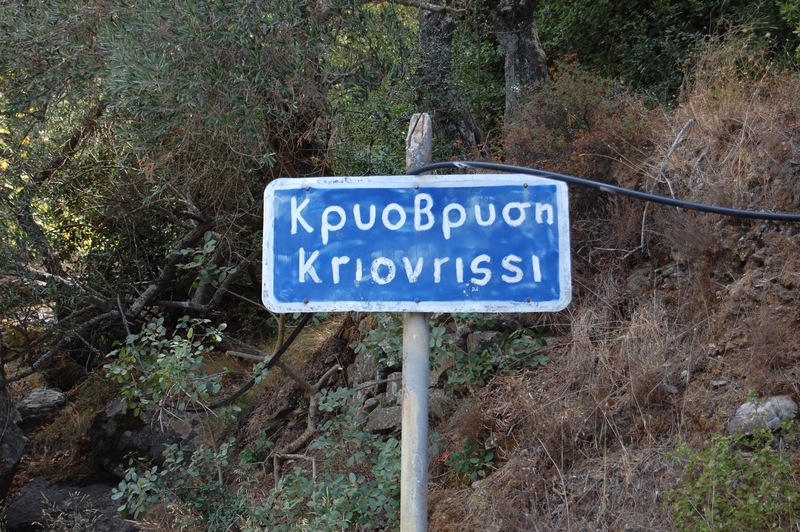 Carved out of the side of a mountain, Kriovrissi is about as wide as a four-lane road. 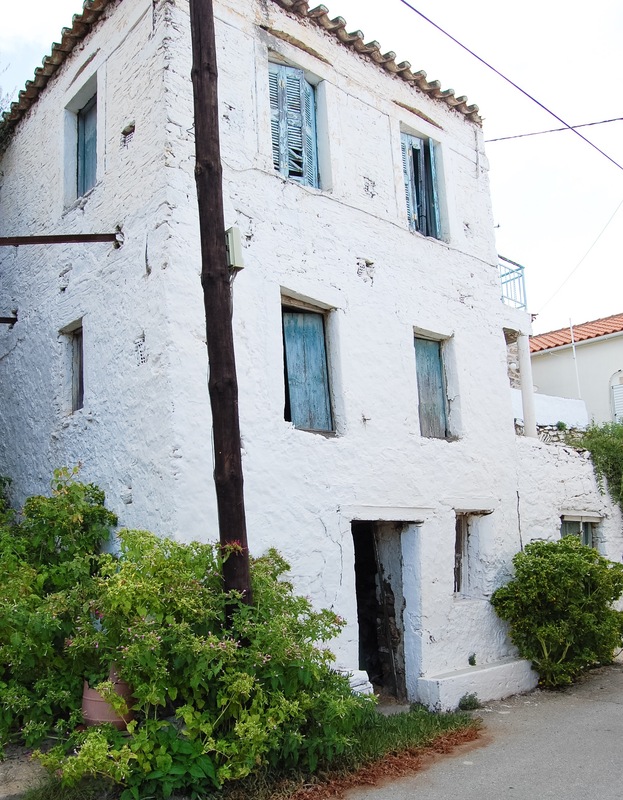 A few multi-generational families live in the village which has thrived here for over a hundred years. 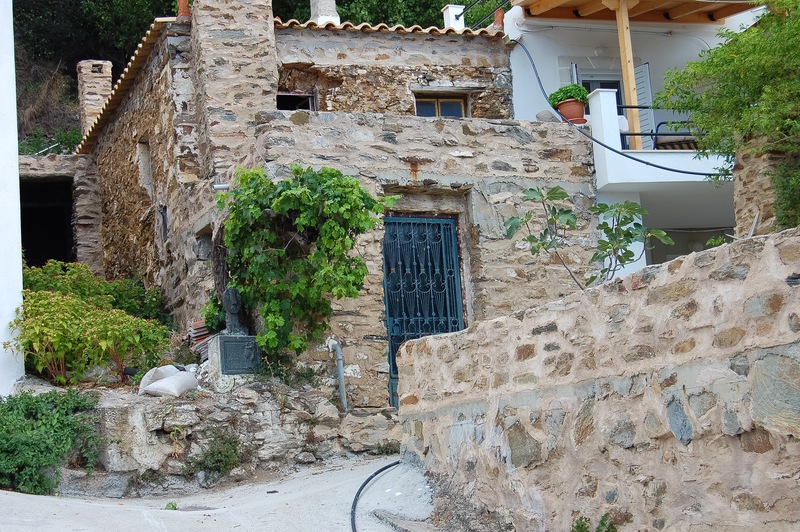 The homes in the village are situated both above and below the lone, narrow paved road that cuts through the village. Surrounding the village is a steep hillside covered with olive trees, a source of income for some of the remaining residents. A small herd of goats freely roam the narrow road in the town. 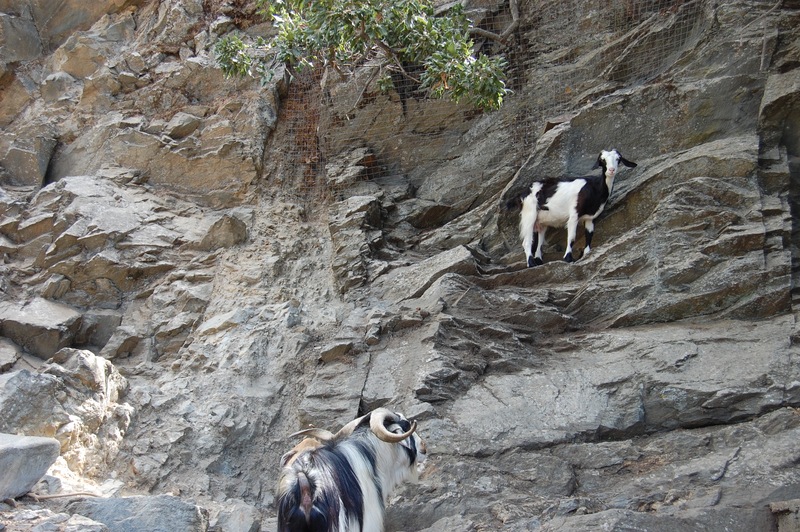 The friendly goats have no fear and nimbly climb the hills of the mountain. Whenever we travel the precarious road to Kriovrissi, I hold my breath when we drive around the blind curves next to steep drop-offs. To calm my nerves, I look to the view of the Aegean Sea and exhale. Our reward for the challenging drive is to visit wonderful friends in the birthplace of my mother-in-law, Amalia. Update: We revisited Kriovrissi on a cloudy day in September, 2016. 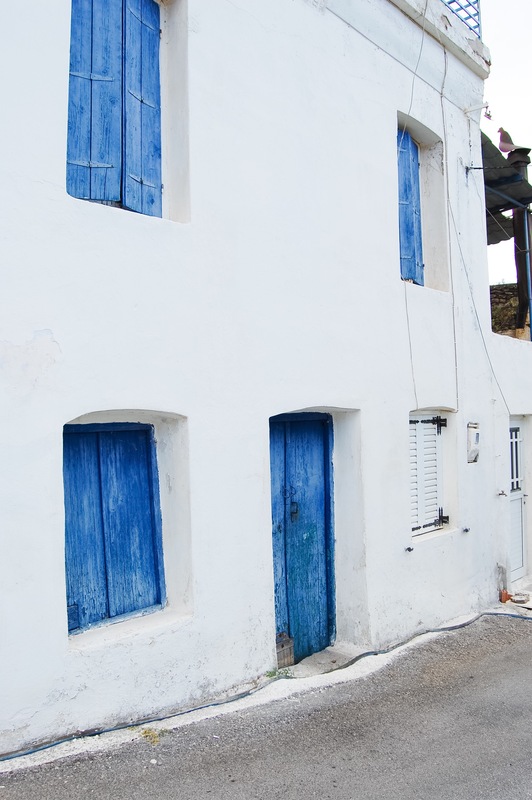 Some of the homes had been modernized and repainted since the original photos were taken. 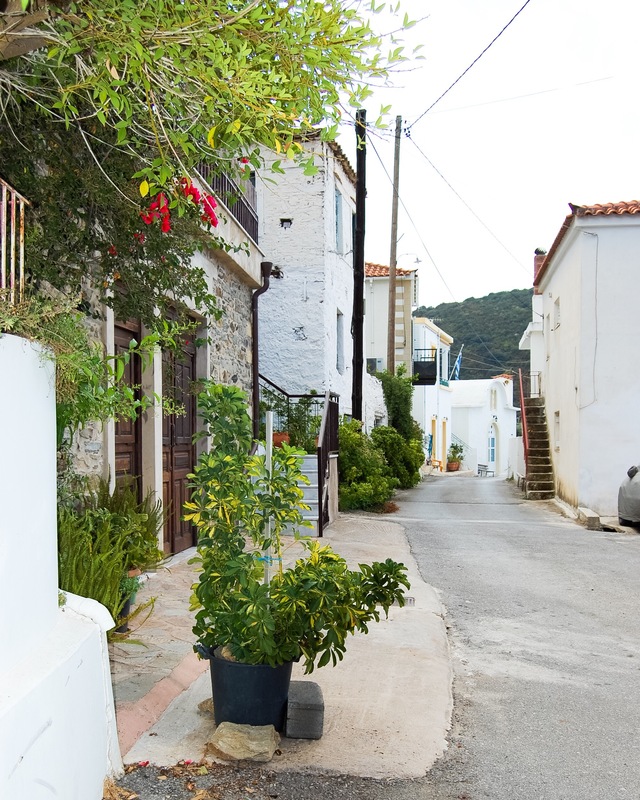 The village of approximately 20 close-knit families remains a blend of old stone structures and renovated white stucco homes.